Every combat soldier remembers the trials and tribulations of their basic training, yet some soldiers elect to further their training and attend the 5-week long Krav Maga instructors’ course. The rigorous course is comprised of combat training exercises integrating the tools of warfare. The cadets are divided into pairs and begin with attempts in stabbing one another with plastic knives. To thwart the attacker, anything goes, including striking “below the belt” with a punch or a kick. The course is valuable to both our men and women soldiers since the kidnapping alert has been on the rise due to the generous terms applied in the Gilad Shalit deal. After a refreshing shower, and any required first-aid for recent wounds, the students gather for a ceremonial graduation where they received the title of ‘Krav Maga instructor.’ “Your goal is to guide and enrich the knowledge essential to your future soldiers. You are our messengers,” said course instructor, Netzer. Ever ask what you thought was a pretty good question only to be told, “Keep going!”? The phrase manages to both encapsulate the spirit of Budo itself, while at the same time feeling like someone just wiped a booger on your sleeve. 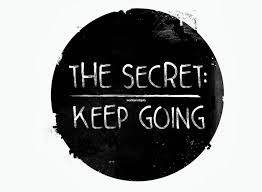 If there is a secret to martial arts and its training, it is "Keep going!" This may seem trite and it's easy to understand why: If I were lost and asked some random person for directions and they said, “Keep going!” with a big grin, I probably wouldn’t grin back. In fact, I’d probably want to smack them. Let alone if I ask a navigation expert, who grinfully tells me, “Keep going!” - I’d probably want to drop a safe on their head. 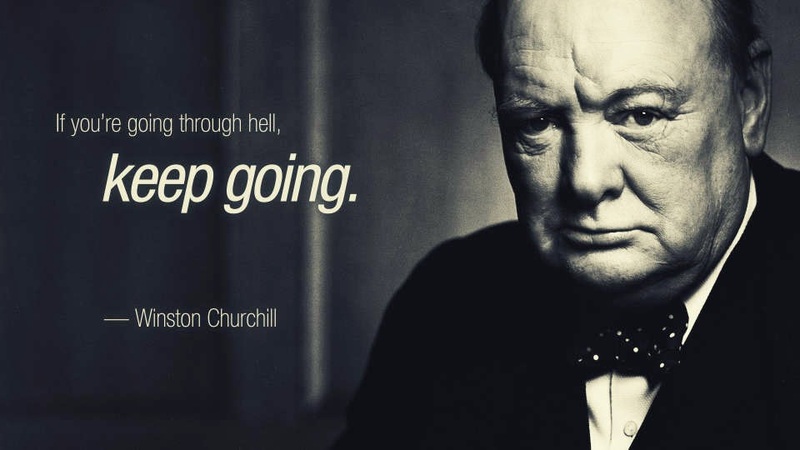 “Keep going!” is one of those non-answer answers. Very Zen. Zen’s not a bad answer, mind you, except if you’re drowning and would rather a life-preserver than words of encouragement. There will always be a concern about racing past underlying philosophy, whitewashing it, or worse, taking it for granted. The risk is building a house on sand. It’s good to articulate answers. As a “Stand-up Philosopher,” values ought to be articulated well enough to compel folks to assess their current ethic. But answers can get pretty complex when describing or defining training’s “basic” aspects – turns out nothing is so easy that it’s “basic.” In fact, I can’t think of any aspect of Taijutsu that doesn’t relate to its whole - universals are like that. Imagine trying to describe the “what” and “how” of one strand of a spider’s web without explaining the web itself. That single, sticky strand is indicative of “why” the entire web matters to begin with. “Why” questions are normally the hardest to answer for they seek to clarify reason and purpose. But they also try to make sense of something deeper and more intrinsic to human nature: Motive. Motive is at the heart of reason and purpose - all values stem from it. I firmly believe that motivations no one can deny - our gut feeling of "ought" - take the form of core values at our deepest fundamental level that provide the basis for everything else, including physical training and our responses under stress to conflict. I'd call it the "common sense." Thus, clarifying our intrinsic motives - our common sense - is important if we want all that proceeds them to be free of contradictions that inevitably confuse and confound. When asked what was the highest secret of Togakure Ryu Ninjutsu, Soke Masaaki Hatsumi said, usually, people judge someone’s level by how fast they run, how far they can fly, whether one can disappear, or do some high level escape techniques, but these people do not know true Ninpo. Hatsumi sensei was told by Takamatsu sensei, the truth of Ninjutsu is you must have "Ninshiki," perceptive consciousness, and "Butoku," martial virtue, in order to be one with the consciousness of god and constantly promise yourself to have compassion without ego. This is why Hatsumi sensei decided to name his dojo, Bujinkan - divine warrior school. 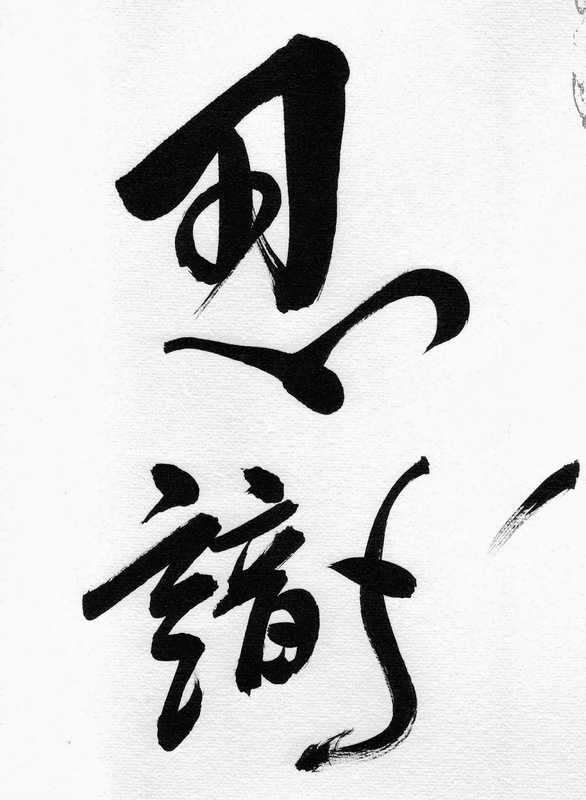 Hatsumi sensei interprets "To" of Togakure as, "Mamoru" – to protect - and "Gakure," as hidden. What is hidden is your intention and promise to wish for peace to protect your family and those who cannot fight for themselves. History shows us, one will eventually lose when fighting only for yourself - even Napoleon lost. It is normal for humans to have the desire to fight for wealth and power, but in the end they are usually defeated when fighting only for themselves. But if one does "Shinobu," persevere, then you can receive "Kofuku," happiness, like "Shizen no Tokuryoku," virtue of nature, "Tokuyo," honorable virtue, "Futoku," virtuous wealth, and "Furaku," pleasurable wealth, among other things. In this way, the secret technique of Ninjutsu is to cultivate extraordinary common sense. Imagine you are given the chance to travel back in time and meet yourself prior to beginning training. What would you tell you? In my case, I'd be going back almost 35 years. Now, granted, there may be folks out there who could think of something pithy. Perhaps specific, like, “keep your back straight” or mumbo jumbo for the new student, like, “the essence is the void,” which I’m pretty certain would lead 'beginner you' to think you’re about to spend years of your life becoming a massive tool. But for the majority of folks (and everyone I have ever asked this question to) their answer would be nothing less than a big smile and a shaking of the head - no idea (my wife said, "It's all good," only reinforcing my point). I mean, what could you say? The moment with yourself is paradoxical, for even though you recognize all that is in store, all of the triumphs and failures, the good and the bad, there is no specific answer we can articulate that can fully justify a conclusion. So, we're left with a new truth: The taking of the journey is a journey worth taking - discovery is in the exploration itself, not the destination. So, how could one possibly encapsulate years of training and experience and distill it into a single thought? It is this little phrase that is the secret to training. Frustrating in its simplicity because what we expect is not what we find. I mean, how can a secret be a secret when everyone already knows it? Easy. When they cannot perceive what more it offers. GK Chesterton said, "An adventure is only an inconvenience rightly considered." Training is as much adventure as adversity. And like all of the universal aspects of Taijutsu, mastery lies as much in the acceptance and command of that duality (kyojitsu) as it does in the surrender of it. The difference is in one's initiative - the timing of motivation, the sharpness of the common sense. But only the journey can strengthen our capacity to perceive. Forget your sadness, anger, grudges and hatred. Let them pass like smoke caught in a breeze. You should not deviate from the path of righteousness; you should lead a life worthy of a man. Don't be possessed by greed, luxury, or your ego. You should accept sorrows, sadness and hatred as they are, and consider them a chance for trial given to you by the powers ... a blessing given by nature. Have both your mind and your time fully engaged in Budo and have your mind deeply set on Bujutsu. B) Don't Act Like a Victim. A) Walk your way out of it. B) Talk your way out of it. C) Do Something Else (If all else fails). Pope Boniface VIII wanted to commission some paintings for St. Peter’s and so he sent a courtier around to find the best painter in Italy. The courtier asked all the artists to give him a sample of their work to send to the Pope. He came to Giotto’s workshop, explained his mission, and asked him for a drawing which would give the Pope some idea of his competence and style. “Sure,” said Giotto; and he laid down a sheet of paper, reached for a brush dipped in red paint, closed his arm to his side to make a sort of compass of it, and in one even sweep scribed a perfect circle. “There you are,” he told the courtier, handing it to him with a smile. The Pope’s messenger took the drawing and went away trying to hold his temper. Did that little painter think he was a fool? When he got back to Rome he showed the Pope the painted circle and told him how Giotto had scribed it—freehand, without a compass. The pope and his advisers DID understand the achievement and gave Giotto the commission. This idea of simplicity is very inspiring to me. It can be expressed in all areas of our lives. As a matter of fact in today's age of overly complicated and drama filled busyness it is easy to get lost in the fray. I suppose it has always been like this. More times than not the answer lays in the simple, in the space between the object being focused on. I often say, "Simple, Not Easy." Meaning, like Giotto's painted circle; simple isn't easy. As a matter of fact there is a lot of mastery in making the complicated simple. The opposite holds true for the novice. Many make the simple complicated. It is easy to complicate our lives with many things and it can be challenging to simplify, but once done the difference is undeniable. It's not easy keeping things simple either, this is more of an art than science. The art of simplicity can be applied in everything that you do in your life: personal, professional & pass-time. So why is simple often not easy? Well, many reasons. It took Giotto a lifetime of skill and expertise to paint that perfect simple circle. Simple yes. Easy? No! It was his mastery of the complex that allowed him to achieve the simple. How can we make our life's simpler? How can we simplify our relationships? How can we simplify our careers? How can we simplify our Finances (which can help to simplify our jobs too!)? How can we simplify our every interaction? How can we simplify our diet? How do we simplify our attachments? How do we simplify our fears, meaning how can we understand their root rather than chasing their manifestations? When talking about fear I am reminded why many people come to me to train in Krav Maga: They want to train because they don't want to be afraid. They want to be confident. They may not know it, but they want to be better protectors. Applying this idea of simplicity is one of the things that I love about Krav Maga. Krav is a simple, straight forward, no nonsense approach that was designed to teach people to be more effective protectors in a very short period of time.Unlike many systems of martial arts that can take years or even decades to become proficient in Krav Maga was originally designed to be "taught today and used tonight" by Israeli Defense Force (IDF) soldiers, Law Enforcement and the Mossad, Israel's special covert operations and counter terrorism division and now civilians from all across the globe. At its core Krav Maga remains an effective and simple tactical system and I think this is one of the main reasons that it is becoming so popular with people from all walks of life all over the world. People often ask me complicated questions regarding conflict between people or regarding circumstances. Often these complicated scenarios manifest themselves from our fears to which no answer will quench its thirst. Once one question has been answered there are three more taking its place. This is because in many cases the real question isn't the one being asked. The real question can often lay in those primal fears that we all have. Fear of our own inner demons of feeling protected in some way. It could be physical, emotional, social, financial, etc. It's all interconnected. Remember the K.I.S.S. method? Keep It Sweet and Simple! That's the name of the game. So what in YOUR life can you simplify? The process may be simple, however my guess is that if you're anything like me, it will be far from easy to do, but totally worth it! It takes true mastery to make the complex simple.